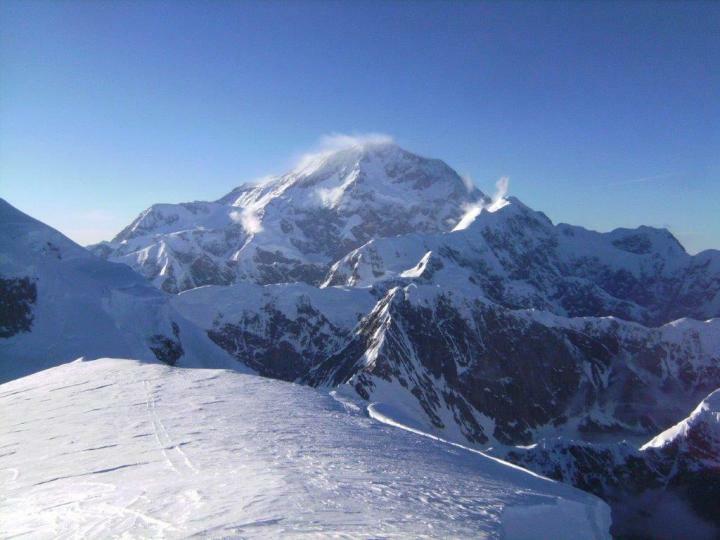 WASHINGTON D.C. — Glaciers in Alaska's Denali National Park are melting faster than at any time in the past four centuries because of rising summer temperatures, a new study finds. The warming correlates with hotter temperatures in the tropical Pacific Ocean, according to the study's authors. Previous research has shown the tropical Pacific has warmed over the past century due to increased greenhouse gas emissions. The study's authors conclude warming of the tropical Pacific Ocean has contributed to the unprecedented melting of Mt. Hunter's glaciers by altering how air moves from the tropics to the poles. They suspect melting of mountain glaciers may accelerate faster than melting of sea level glaciers as the Arctic continues to warm. "The natural climate system has changed since the onset of the anthropogenic era," he said. "In the North Pacific, this means temperature and precipitation patterns are different today than they were during the preindustrial period." The research team drilled two ice cores from a glacier on Mt. Hunter's summit plateau, 13,000 feet above sea level. The ice cores captured climate conditions on the mountain going back to the mid-17th century. The physical properties of the ice showed the researchers what the mountain's past climate was like. Bands of darker ice with no bubbles indicated times when snow on the glacier had melted in past summers before re-freezing. Winski and his team counted all the dark bands – the melt layers – from each ice core and used each melt layer's position in the core to determine when each melt event occurred. The more melt events they observed in a given year, the warmer the summer. "This adds to the growing body of research showing that changes in the tropical Pacific can manifest in changes across the globe," said Luke Trusel, a glaciologist at Rowan University in Glassboro, New Jersey who was not connected to the study. "It's adding to the growing picture that what we're seeing today is unusual." This research article is available for free for 30 days. A PDF copy of the article can be downloaded at the following link: https://agupubs.onlinelibrary.wiley.com/doi/pdf/10.1002/2017JD027539. Journalists and PIOs may also order a copy of the final paper by emailing a request to Lauren Lipuma at [email protected] Please provide your name, the name of your publication, and your phone number. Paper Title: "A 400-year ice core melt layer record of summertime warming in the Alaska Range"
Cameron Wake: Institute for the Study of Earth, Oceans, and Space, University of New Hampshire, Durham, New Hampshire, U.S.A. Contact information for the authors: Dominic Winski: [email protected], +1 (207) 263-8861.